Seller will give you a gift certificate in the amount of 2,9867 RUB for a positive review of the product purchased. Steep Winter Games includes the game Steep - explore the Alps and the mountains of Alaska and conquer the steepest slopes of the open world on skis, snowboard, wingsuit and paragliding; as well as an addition "For the Olympics!" - go a long way to becoming an Olympic champion. 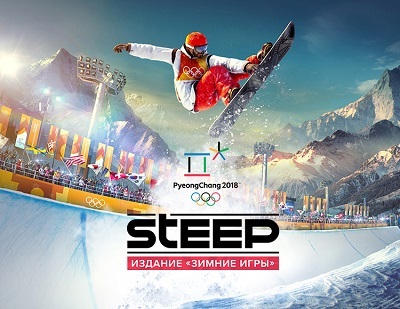 Explore the huge game world in the addition of Steep "At the Olympics! ", Enjoy the slopes of the famous mountains of Japan and train to show yourself at the 2018 Winter Olympics in Pyeongchang. Steep For the Olympics! - licensed product of the 2018 Winter Olympics in Pyeongchang. Seller will give you a gift certificate in the amount of 2,9867 RUB for a positive review of the product purchased..